Drivers from Allentown, Pennsylvania can turn to Lehigh Valley Hyundai for all of their automotive service needs, as our new and used Hyundai dealership in Emmaus is here to assist. Speak with one of our helpful staff members today to learn about our new and pre-owned Hyundai options or stop by our Hyundai service center for a quick oil change or tire rotation. We are proud to serve drivers of all makes and credit backgrounds from nearby Allentown, so do not hesitate to reach out to Lehigh Valley Hyundai today for professional auto maintenance or the financing you need to drive a new Hyundai! Are you looking for a new ride that will comfortably transport you and your family and friends to Coca-Cola Park in Allentown, or the nearby Allentown Farmers Market? The sales team here at Lehigh Valley Hyundai invites you to shop and explore our new Hyundai and used car inventory online right now. 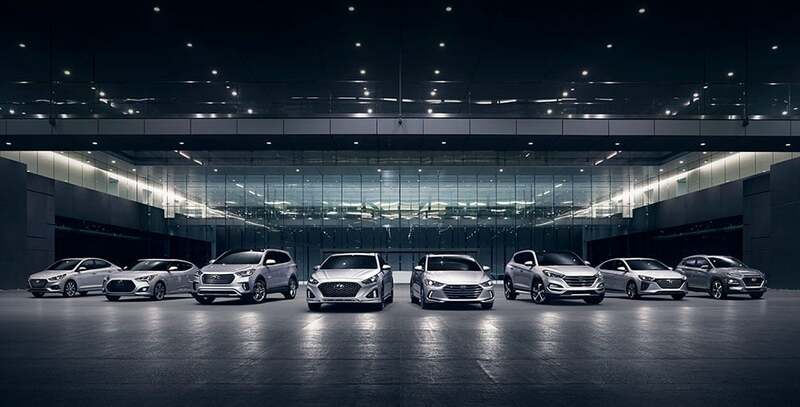 If you have spotted a new Hyundai Elantra that you would like to tour and test drive, then visit our Hyundai dealership near Allentown, PA. Our team will assist you with your new or used car search and tailor a shopping plan that caters to your preferences and budget. Whether you are in search of an affordable used Hyundai Sonata or a fully loaded new Hyundai Santa Fe, we have competitively-priced options in stock for you! Secure financing for your new Hyundai Tucson today with help from our dedicated finance department. No matter if you are a seasoned buyer with good credit who is looking to secure competitive loan terms, a driver with less than perfect credit or a first-time car buyer with no credit, we are eager to assist you! Apply for auto loans online right now, or stop by our conveniently located Hyundai dealership near Allentown to discuss the sub-prime financing assistance we offer. Do not let your opportunity to secure a new or pre-owned Hyundai slip away, team up with the finance staff at Lehigh Valley Hyundai today! Experience the high level of care that you and your Hyundai deserve by visiting the service department at Lehigh Valley Hyundai. Our Hyundai factory-trained and certified service professionals can not only take care of your routine maintenance needs, but major transmission work and warranty repairs, too, so shop our current service and parts specials and book a service appointment now. Our dealership uses genuine Hyundai parts and accessories so that your car can remain at factory standards. If you would like to complete a repair yourself, just contact our dedicated parts staff! Here at our new and used Hyundai dealership near Allentown, we await the opportunity to provide you with a comprehensive, full-service automotive experience, so visit our Emmaus, PA location at your earliest convenience to secure your new or used car, financing, genuine Hyundai parts and professional auto service.